Fayiza was born in Kabul, the province where she studied and graduated from school in 2006. Like many students, she was also inclined to pursue her higher education in Kabul university. After she passed Kankor (the nationwide tertiary entrance exam) she was accepted in the field of chemistry. Like her peers when she decided to take Kankor examination she hadn’t thought of any specific field of study but in consultation with her classmates, she chose a field that back then had the most acceptance rate in Kankor exam. Her interest in the arena might have also landed her there and more importantly, at Kabul university. In 2006, chemistry was a part of science department but now it is an independent and important faculty. Fayiza considers chemistry as an interesting field, but during school she feared the subject for her and no student had any interest in learning the subject. But later this very field looked very exciting to her. Although Fayiza Naseri was one of the hardworking students of her class, the perspectives about chemistry at the time led her to make different excuses for not studying the subject. But she didn’t see the subject from that angle once she entered university. Chemistry became one of the most interesting classes for her and she was keen to know more about this field and become an expert in it. 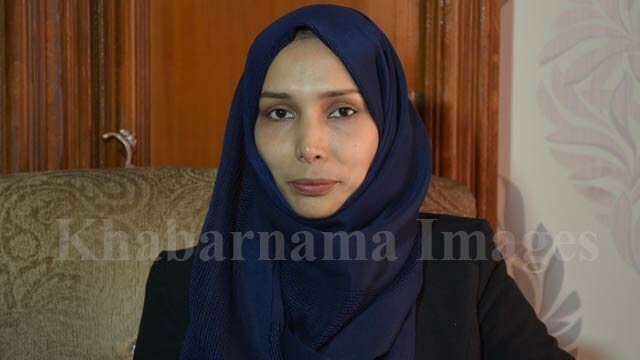 It was in 2010, when Fayiza earned her bachelor’s degree from the university, the very year in which Afghan Atomic Energy High Commission was established. She knew, entering such an important organization wasn’t an easy job. It was exciting for her to finish bachelor’s degree in chemistry. For a hard-working woman like Fayiza, that was an end to a new beginning. She was inspired to pass on the lessons learned, and therefore she started her teaching journey in a school where she taught and trained students for six years. She told Reportely that, she doesn’t see chemistry just as a subject that she merely teaches. But she rather sees it as an opportunity that presents someone the ground to teach and gain experience, skills and expertise coupled with motivation and hard work, which can help the person work in big companies. According to her when someone gains expertise in this field that includes industrial and technical chemistry then he/she is called an alchemist. The belief and logic of her interaction was based on studies that one could figure from her choice of words. She believes that “we need such alchemists to have an advanced state.” Ms. Naseri was at the top of her class during her academic journey and shined in her studies. Although the sense of satisfaction in recalling the memories of a teacher’s time is quite clear in her words, what drove Fayiza into thinking that she wants a change in her path and field of study was a greater sense of ability in another field that can be the way to bring about a greater change in society. Fayiza attributes her success in teaching to utilization of effective teaching techniques and methods that attracted the attention of many students. That’s why she was looking for a field to help students “learn better and work with teachers to make them more successful,” inspired by the idea she chose educational psychology. One needs to know that changing a field of study after receiving a bachelor’s degree is unacceptable in Afghanistan. For various reasons, she tried to change her field of study from chemistry to psychology in pursuit of which she faced many problems. But according to Fayiza, nothing is impossible. 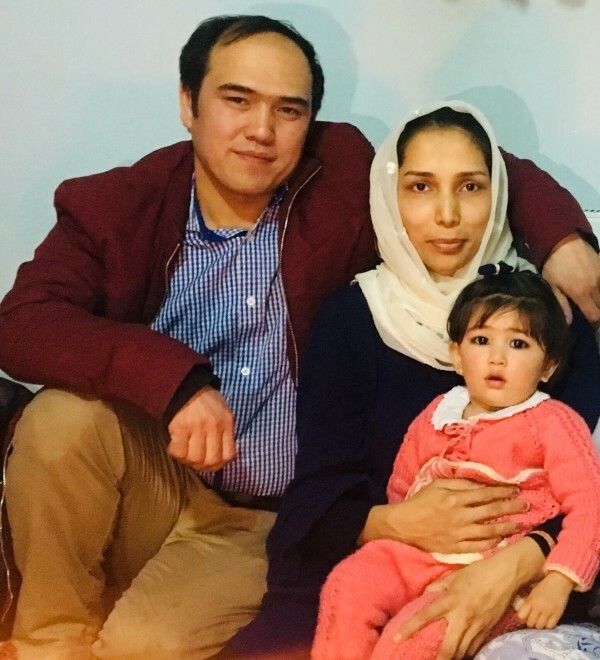 Understanding the educational situation in Afghanistan, she sought to win a scholarship abroad, it was then that she became familiar with the US Embassy’s Fulbright Program. But in the meantime, this change of path in Faiza’s life plans took 5 to 6 years which she spent by taking private courses, indulging in self-studies in the field of psychology. This is how she facilitated the grounds to study abroad. This led her to get acquainted with the US scholarship. She worked hard for the Fulbright Scholarship and after she applied for a Master’s degree in psychology, she even worked harder than before to know more about the field she aspired to earn her master’s degree in. Fayiza has faced many challenges as she tried to win a scholarship abroad. She says that one of the problems was a lack of transparency in the scholarship process. Despite that she didn’t give up hope and with continuous efforts and perseverance, in pursuit of obtaining a scholarship through a process that didn’t consider her ability, she became familiar with Fulbright program. The program put her on the track to realize her dreams and helped her study in the United States. When Fayiza was accepted to this program, she had just taken the first step of a long road ahead which had its own turns and twists. She was an Afghan girl who perhaps after 20 years or more, had to leave her family and shift to a new place; it was a world where everything was new; everything was different from streets to the behavior and faces of the people. During her early days of stay in the United States, Fayiza encountered many problems; she had to get used to a new environment, overcome homesickness and study harder than before. Doing this seemed difficult but humans can get used to everything when they are given enough time. What really helped her overcome these difficulties and successfully complete her master’s degree was her future goals and dreams and the high hopes her family members and her peers had from her. She and other students were apprehensive about joining American universities, expecting the education there to be tougher than what is imparted in Afghanistan. They felt overwhelmed at the thought, and expected the experience to bring a sense of weakness, but as they entered the environment everything they had perceived so far had now disappeared. This changed perception helped them see themselves like American students and graduates who were Fulbright scholars. During her journey in the United States, Fayiza saw two great changes in herself. She managed to bring a balance between her personal and professional life that could both grow with one level and importance. When Fayiza Naseri won a scholarship in 2016, she had planned her future path and what she aspired to achieve, and now she continues the program with a focus on three parts including teaching strategy, learning strategy and parenting techniques. As she was due to start a family during her first academic year, she studied more credits to complete the two-year program in one year. She received her master’s degree in August 2017. 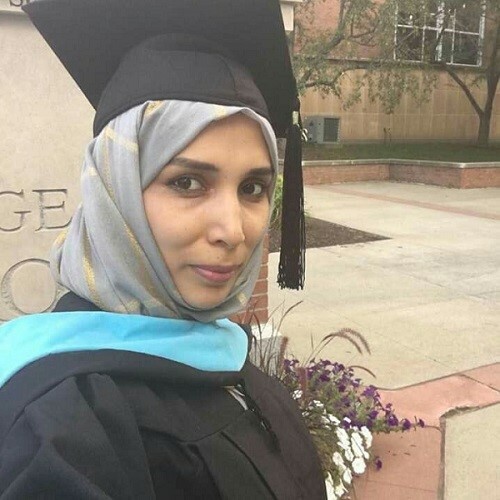 After receiving a world class education in United States, Fayiza returned to Afghanistan with new skills and knowledge that were necessary to succeed in personal and professional life. In addition, the lessons she learned there could help and inspire others. Therefore, after enjoying a break she started teaching in an educational association. There have been many people who supported Fayiza in her life and education journey but she says that her father and husband played a more significant role which helped her pursue educational opportunities with confidence and succeed in them at the same time. She seems concerned about the current situation and the coming of peace, but she is satisfied with the changes so far and the progress of women in the country. She believes that the future will be better than the past. As a teacher she is inspired to play her part in peace-building so that people with different perspective enter Afghanistan workforce. Fayiza sees herself in the future as a university lecturer who will teach new things to eager students just like she was as a student.